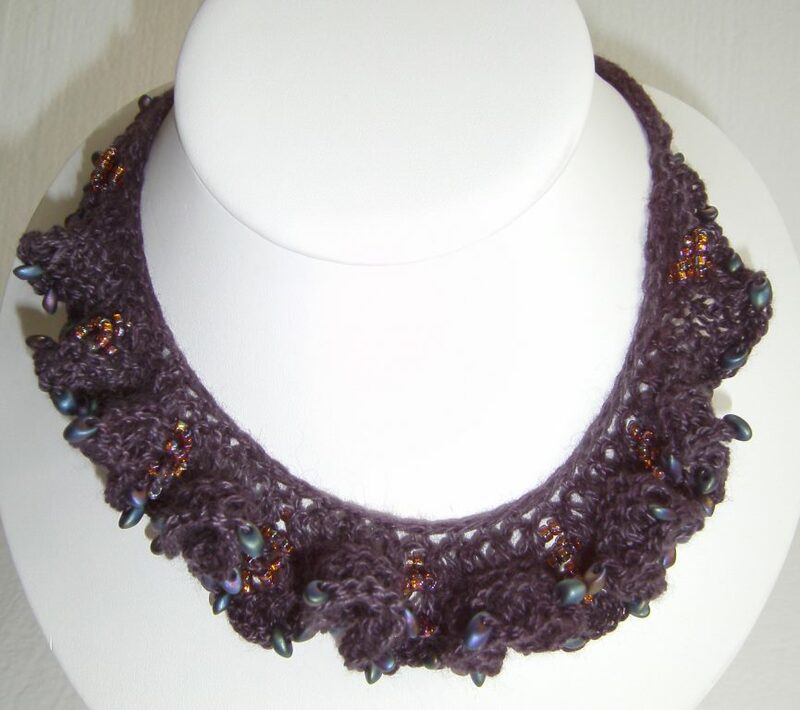 Aunt Geri here – unveiling the necklaces that I promised to be working on finishing. I finally forced myself to put the closures on – some fun since they are magnetic and grab your needle and scissors in the process! But the user will find them so handy. 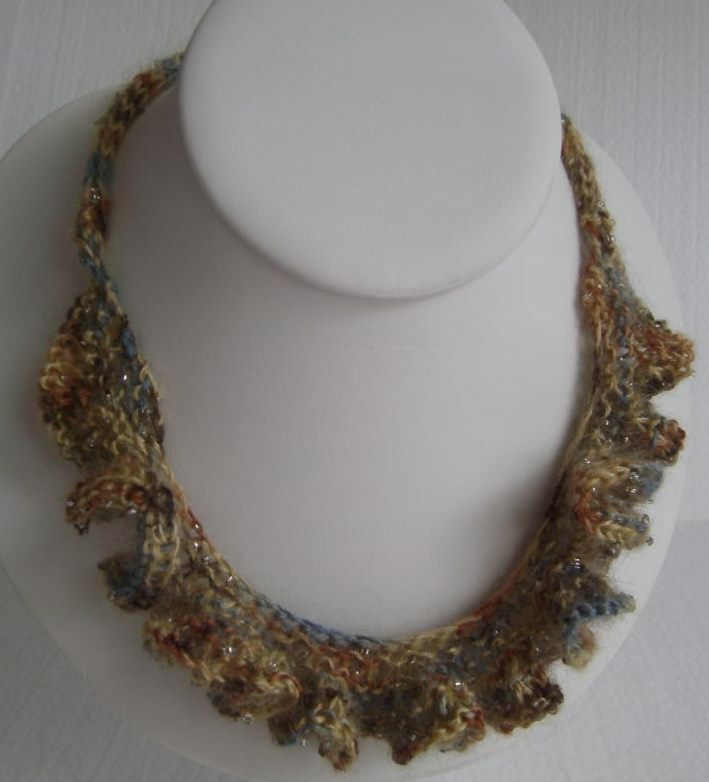 All of the necklaces are made with alpaca/silk blend yarn – the silk provides a little more strength. I practiced on a yarn that was already beaded and the “Raven” yarn that I recently spun. Then I moved on to the beaded one which is really dramatic. 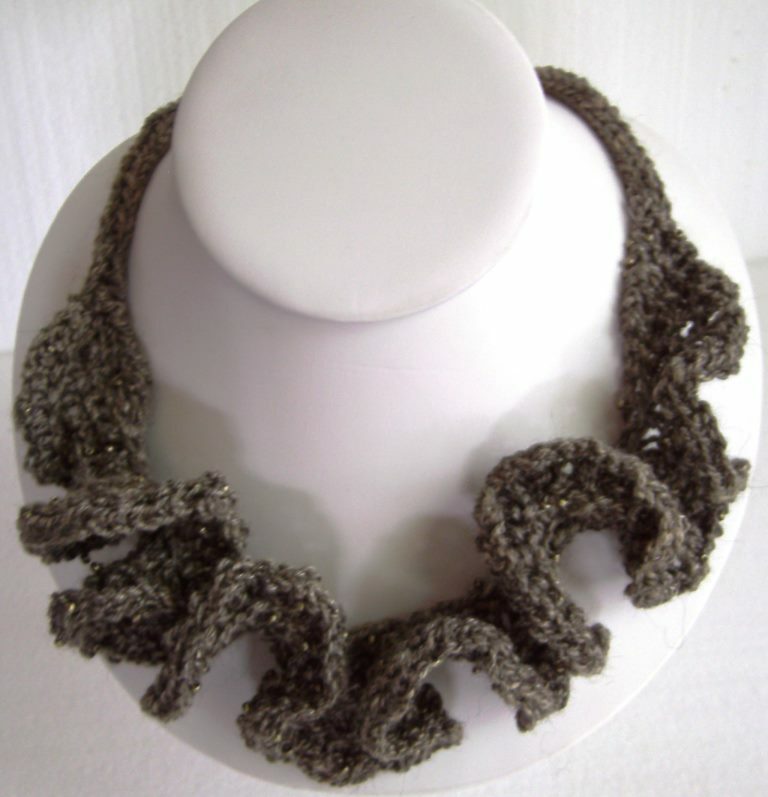 Current production includes fiber bracelets and some cute little alpaca scarf pins – the show is drawing near. We hope to see you at the Western Welcome Week art show on August 17th, 9-5 in downtown Littleton Colorado. Editors note: We are on a family vacation and have not been been posting to the blog. This morning up and early we planned on being back at it, only to discover that the time change has made us late. 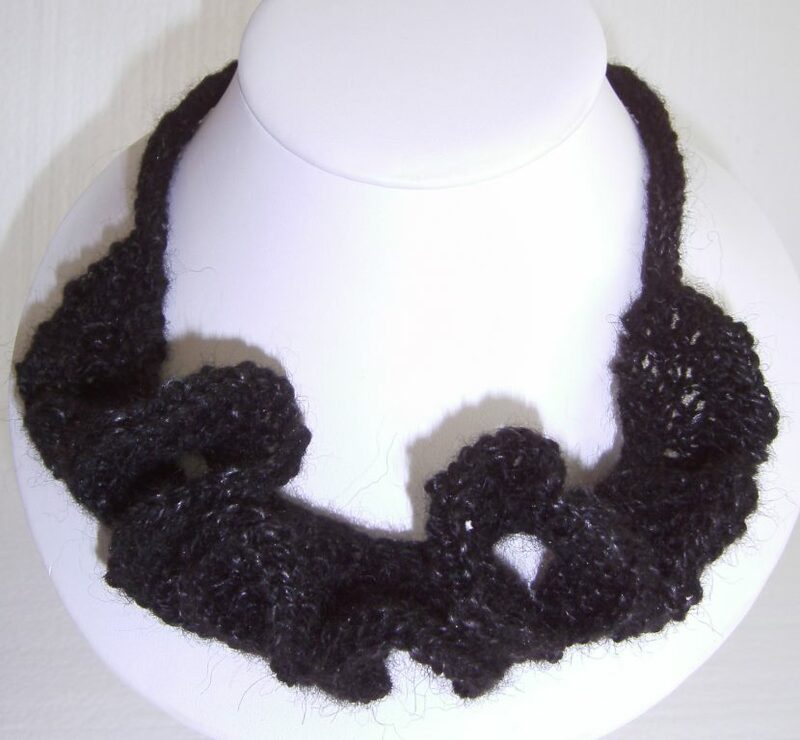 This entry was posted in Fashion and tagged craft show, crafts. Bookmark the permalink.